Links - where to look for more information. Contact Us - for more info and to get involved. Send e-mail to the presidents voicing your opposition of KGI. Interested in upcoming events? 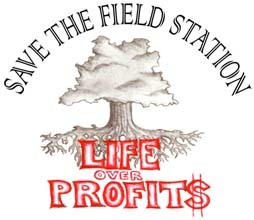 See the Students for the Field Station web site. Press reports and newpaper articles. Disclaimer: This site is not affiliated with the Keck Graduate Insitute or any of the other Claremont Colleges. The opinions expressed on this site are only those of intelligent, concerned individuals and organizations.